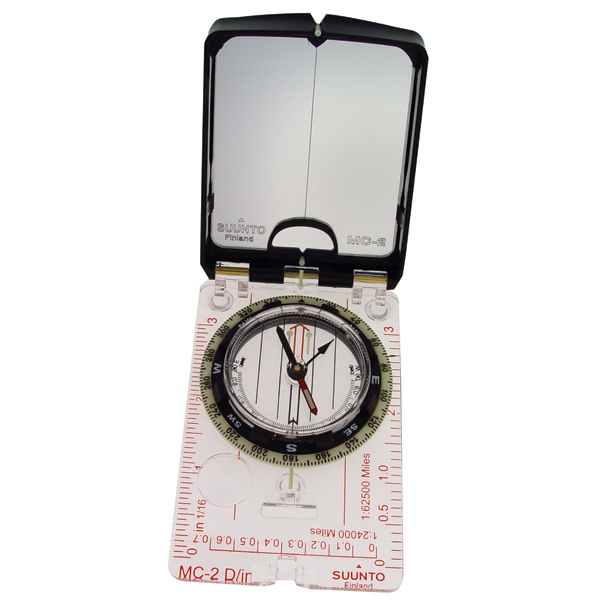 The MC range of mirror compasses provides an invaluable tool for those who place a particular premium on accurate and reliable directional measurements; for example surveyors, miners, architects, rescue patrols, hikers, boaters and the military. 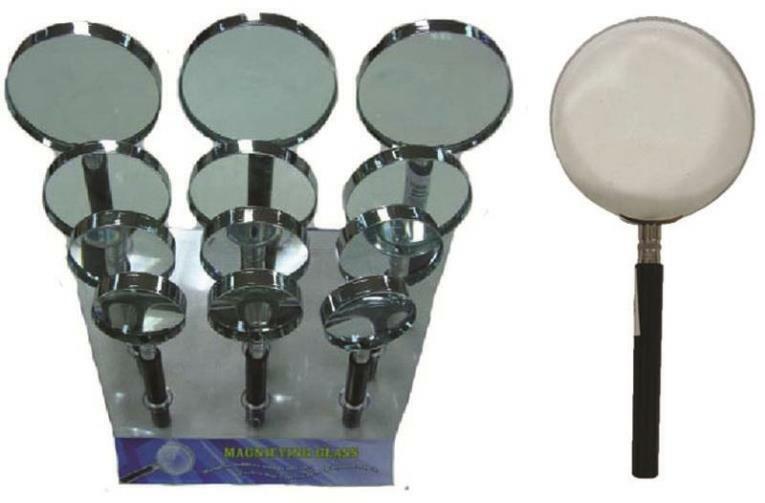 The declination adjustment system, standard throughout the range, is especially useful when working in areas of large magnetic variation, while the sighting notch provides superior accuracy. 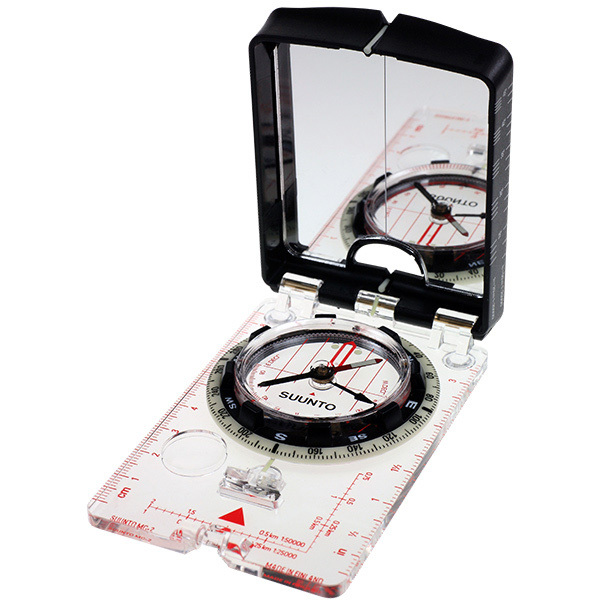 The MC-2 model is also available with the Global Balancing System. Inspired by an over-sized staff in the private collection of Cold Steel President Lynn C. Thompson, the Blackthorn Staff (almost 5 feet long) represents the culmination of years of costly research and development in the world of injection molding and high-impact polymer production. 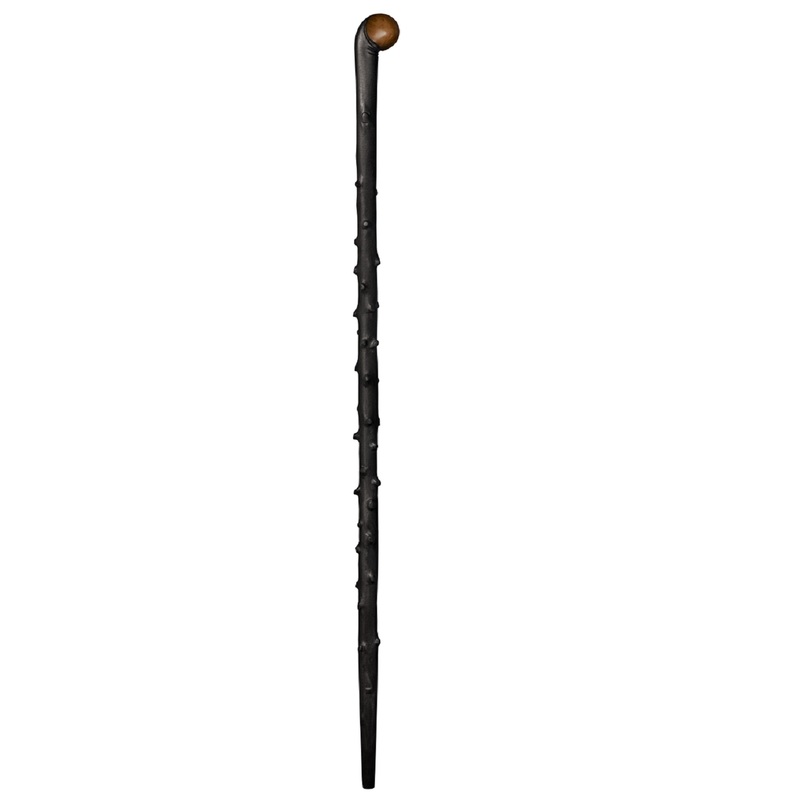 This king-sized hiking staff, with its rustic wood-effect texturing, G�+clipped thornG�- nodules, and polished faux-wood knob is sure to be an unusual and much talked about part of any collection. 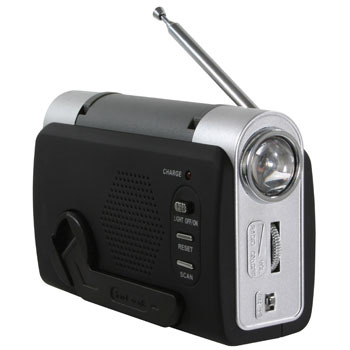 The Sportsman Series Hand Crank Emergency Radio is a multi-function palm-sized FM Radio with a weather band feature, an 85 decibel emergency alarm, a smart phone charger and an LED light than runs on power created by the hand crank. Hand crank power ensures you always have enough juice when power is not available. Hand cranking for just one minute will provide up to 30 minutes of light, 10 minutes of radio, and 3 minutes of emergency alarm. This Emergency Radio can charge most smart phones with the included female USB adaptor you can use to connect with your existing phone charger. Hand crank the device for 3 minutes to get up to 10 minutes of mobile phone power. 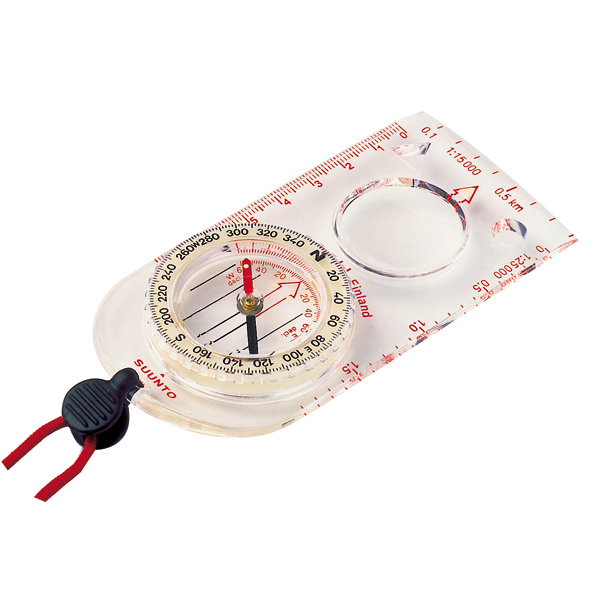 Keep an Emergency Radio in the emergency supply kit in the car and house, and one in the tent for use at the campsite. A switch on the front of the Emergency Radio lets you easily alternate between the FM radio and weather band features. The weather band radio connects to a nationwide network of radio stations broadcasting continuous weather information directly from the nearest National Weather Service office. Stay informed about severe weather conditions in your area, or the forecast for the day when you are camping in the woods. A headphone jacks lets you listen to the news and weather without disturbing your family. The Portable Solar Kettle can hold up to 3 cups of water. It has a built in evacuated glass tube boosted by solar wings which increase the energy from the sun and can boil water in 30 minutes. The solar kettle is great for traveling, boating, camping, hiking, military, survival, and emergency needs. You can even use it at home to save energy cost. This is an easy way to heat and pasteurize water for safe drinking. It has no batteries, no moving parts, and no fuel cost it's just an easy way to get hot water from Sunshine. It has a built in stand to hold the kettle reclined so it faces the sun. 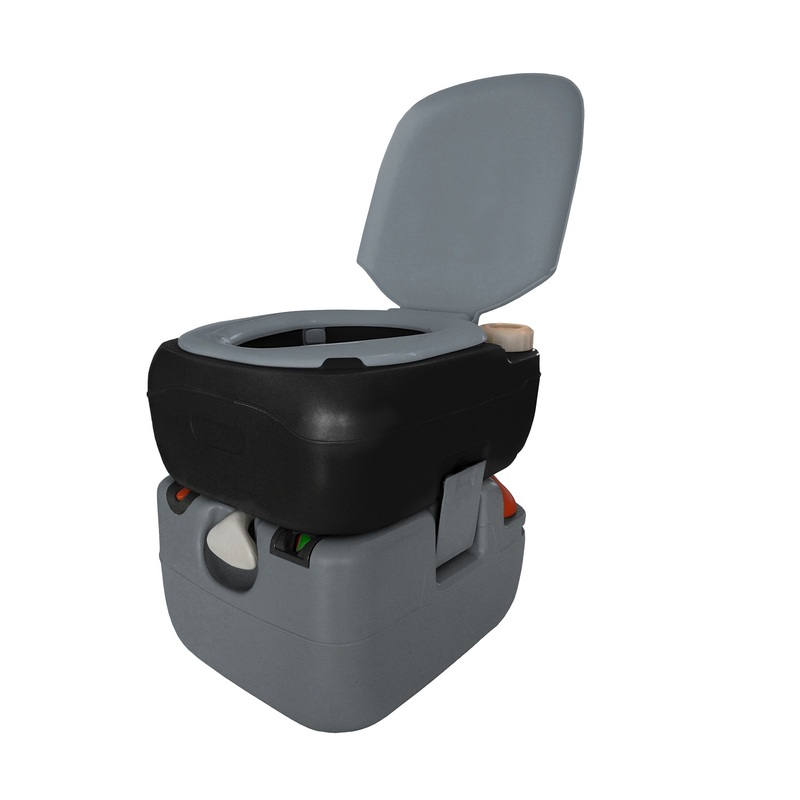 It measures 18" x 4"
The Reliance Portable Toilet Model 4822 has a 3 gal/12L fresh water tank and 6gal/23L holding tank with a comfortable seat height (standard toilet seat height of 17G+-) with larger and deeper toilet bowl for added comfort. It has an innovative T slot flush nozzle directs water around whole bowl to ensure efficient draining of waste, a high end injection piston pump provides even greater flushing efficiency (and is replaceable). 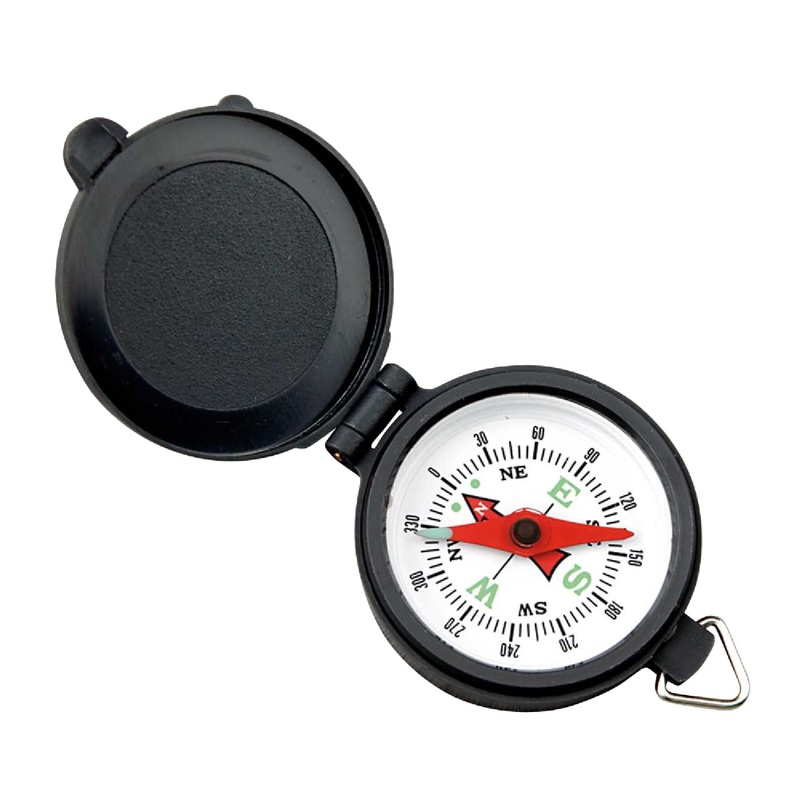 Waste holding includes an exhaust valve and waste level indicator. 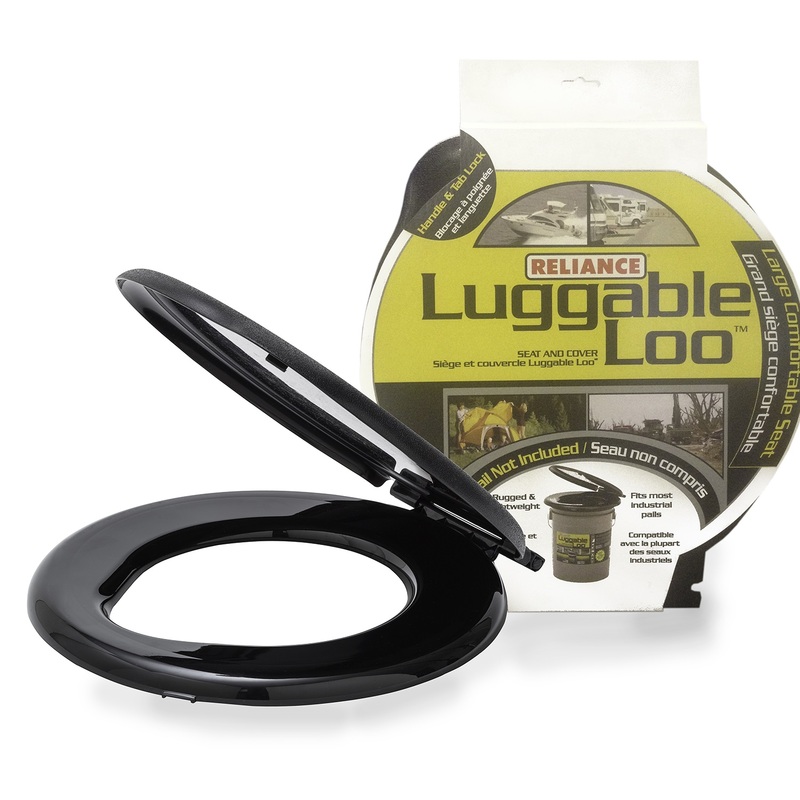 Waste holding tank also features a swivel emptying spout for easier emptying and clean-out. The toilet can be affixed to a flat surface using the x-shape base bracket (sold separately). It has a 325 lbs weight capacity, dimensions: 16.5G+- x 16G+- x 17G+- and 13lbs. With 20 pockets, you've got space and organization to take you from Alaska to Zanzibar. This perfect traveling companion will make seasoned travelers envious of the utility and cotton comfort. Full cut for wear over a sweater- wear your vest through 3 or 4 seasons depending on your location. The two cardinal rules of adventure travel are: (1) Be Prepared Without Taking Too Much, and (2) Keep the Really Important Stuff Close at Hand. 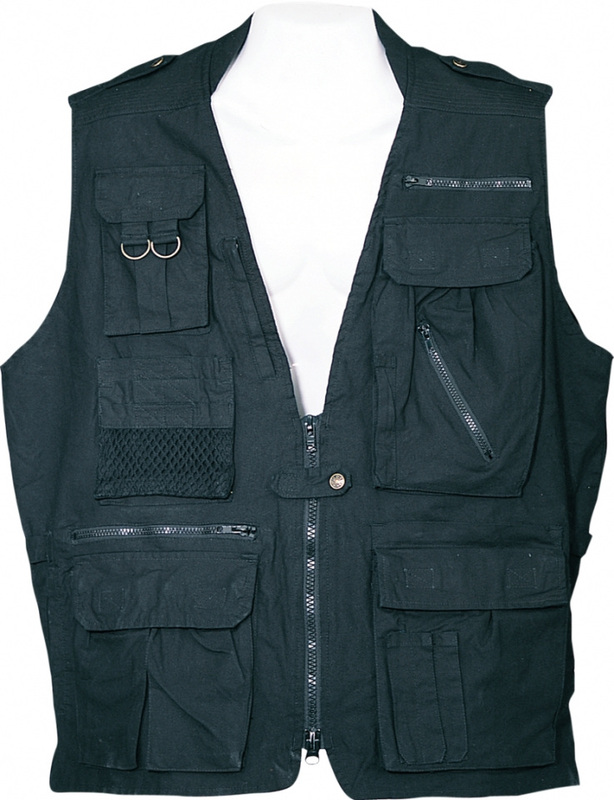 This rugged vest helps you follow the rules and look like a seasoned traveler at the same time. 100% cotton vest is easy care with a soft, relaxed, comfortable feel, and the mesh vented back helps you keep your cool under any load. Did we go too far by including 20 pockets? 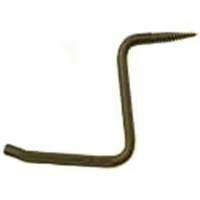 We bet you won�t think so- there�s room for candy bars, identification papers, cameras and film, radios, GPS units, pens, personal water filters, compasses, pocket tools, PBJ sandwiches, and lots of trinkets. Features include a two-way heavy gauge front zipper closure, functional epaulets to keep shouldered items in place, and side waist tabs for a custom fit. Imported. When you're preparing for a backpacking trip, this backpacker's trowel from Grizzly Peak should be number two on your list of things to bring. 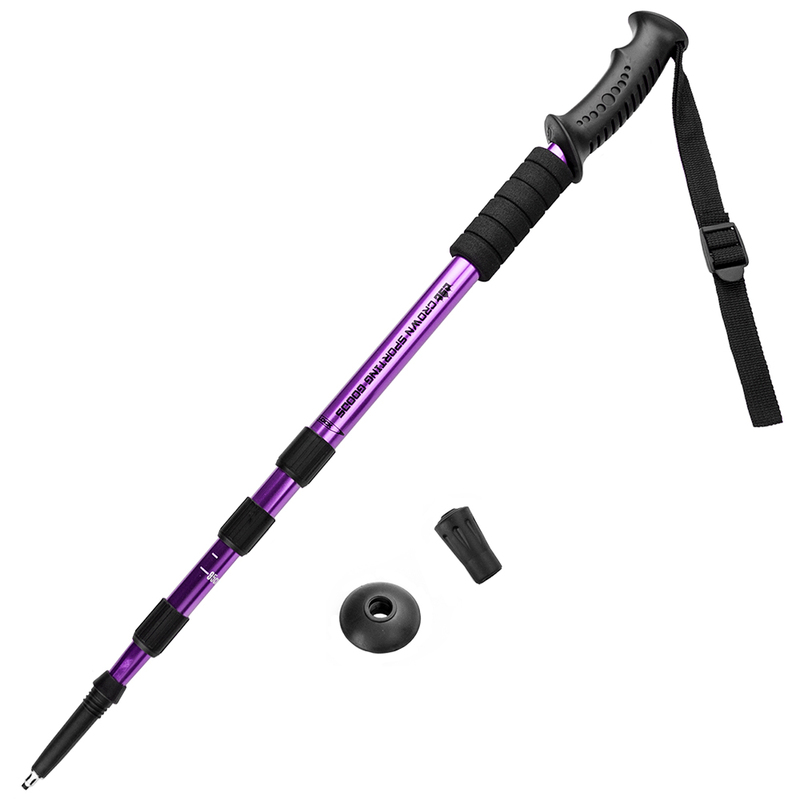 Constructed as a single piece of durable plastic, it carves through tough ground without breaking or cracking. Measuring 11" by 3.5" and weighing just under 2 ounces, it's perfect for the lightest of lightweight travels. Coming in both orange and black, this trowel features a rubber thumb grip and depth gauge to be sure you commune with nature without ever leaving a trace. Take your next picnic to the trails with this lightweight camping blanket from Grizzly Peak. 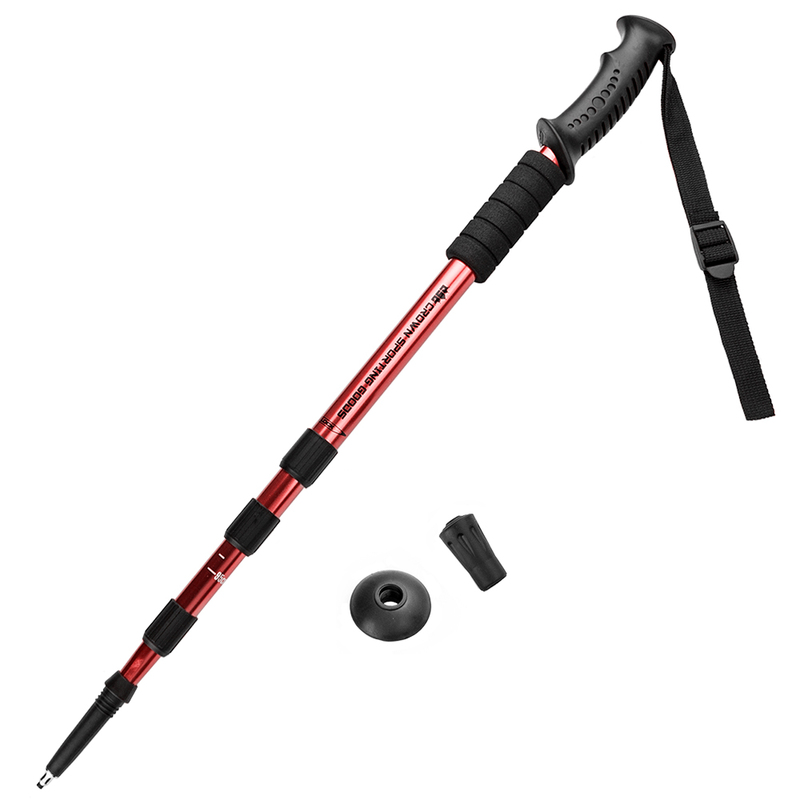 Hardy and durable, the tear-resistant polyester upper sports a rustic red plaid pattern, and the backing is a waterproof coated polymer that'll keep you drier than a lake bed in the Mojave. 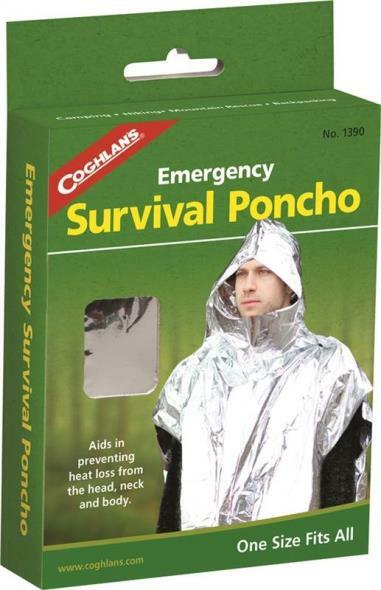 Of course, it's not just for camping. Take it along to picnics in the park, outdoor concerts, or to lazy days at the beach. Backpack approved, our X-Large camping blanket weighs just 19 ounces and folds down to 10.25" x 7" x 2.5". Fully spread, it measures 78" x 58", creating a spacious haven for picnics and naps. 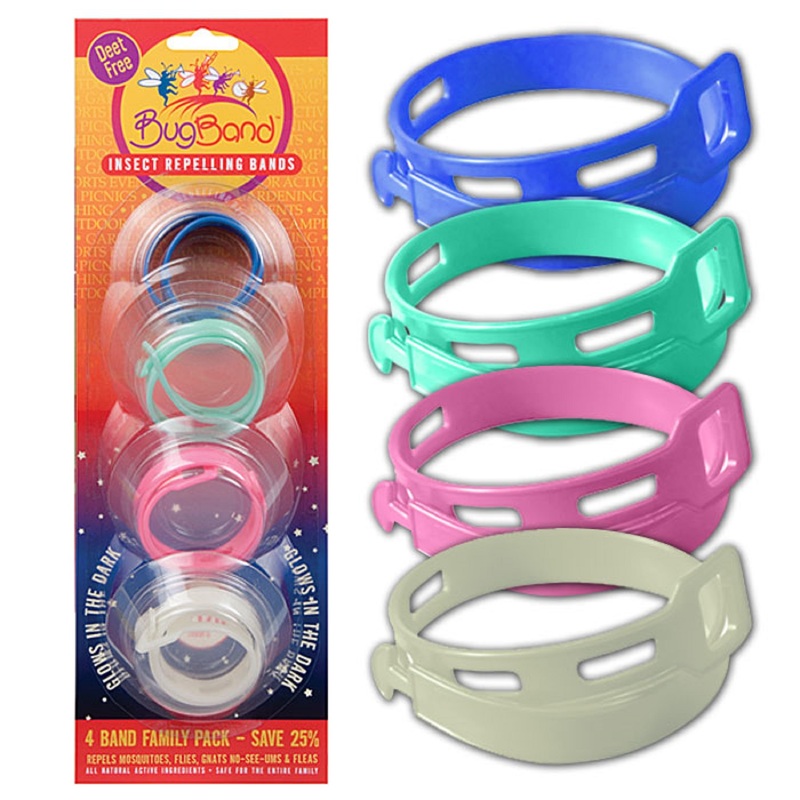 BugBand Wristband Family 4 Pack is an insect repellent that is safe for the entire family and is Deet-Free. The vapors from the plastic BugBand wristband form a protective shield around the immediate area, keeping insects a safe distance away. While many repellents are easily diluted or rinsed off with swimming or perspiration, the wristband just keeps working, up to 120 hours per arm band. Repels mosquitoes, gnats, fleas, and n-see-ums. 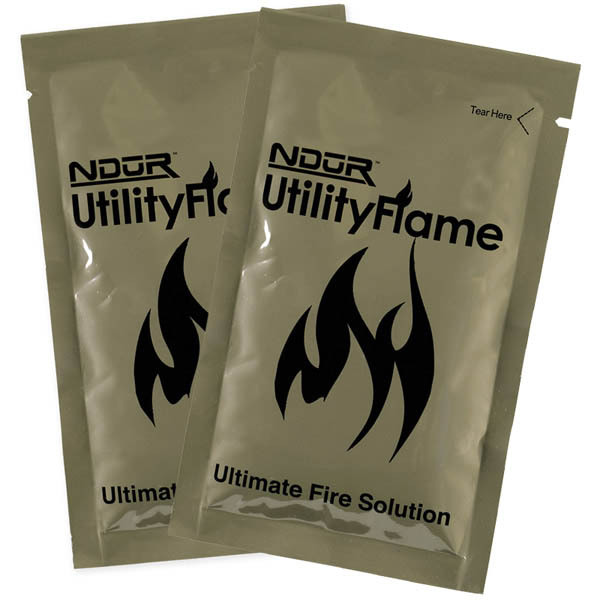 Contains Geraniol which has been tested to be more effective than Citronella. There is a breakaway feature for added safety. The bands are packaged in an innovative reusable plastic "pod" which can be used to store the wristband and can be sealed between uses to preserve the active life of the product. It can be worn on wrist, ankles, belt loops, hatbands, pet collars, fastened in tents, attached to baby carriages or applied to other areas where insects could be a problem. Several wristbands can be strung together to create a longer band. A good choice for recreational and lighter-duty applications, the BugBand Family 4-Pack contains 3 assorted color wristbands and 1 glow-in-the-dark wristband. Backpack approved, our Small camping blanket weighs just 13 ounces and folds down to 9" x 6" x 2". Fully spread, it measures 51" x 58", providing a compact footprint for tight spaces. Backpack approved, our Medium camping blanket weighs just 15 ounces and folds down to 9.5" x 6.5" x 2.5". Fully spread, it measures 58" x 58", providing a compact footprint for tight spaces. Backpack approved, our Large camping blanket weighs just 17 ounces and folds down to 10.5" x 7.5" x 2". Fully spread, it measures 71" x 58", creating a spacious haven for picnics and naps. 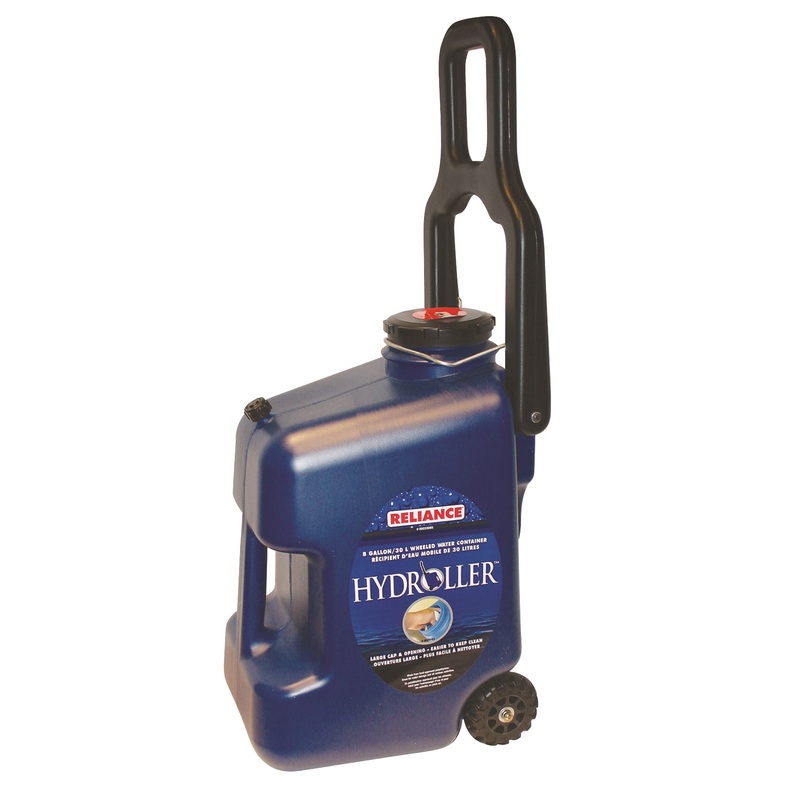 The Reliance 7 Gallon Aqua-Tainer G++big blueG+- is the most popular and trusted water container on the market. Made from rugged materials it features an ergonomic contoured handle and premium screw on vent cap. This container comes with a hideaway spout for easy water dispensing and is stackable when empty for compact storage. 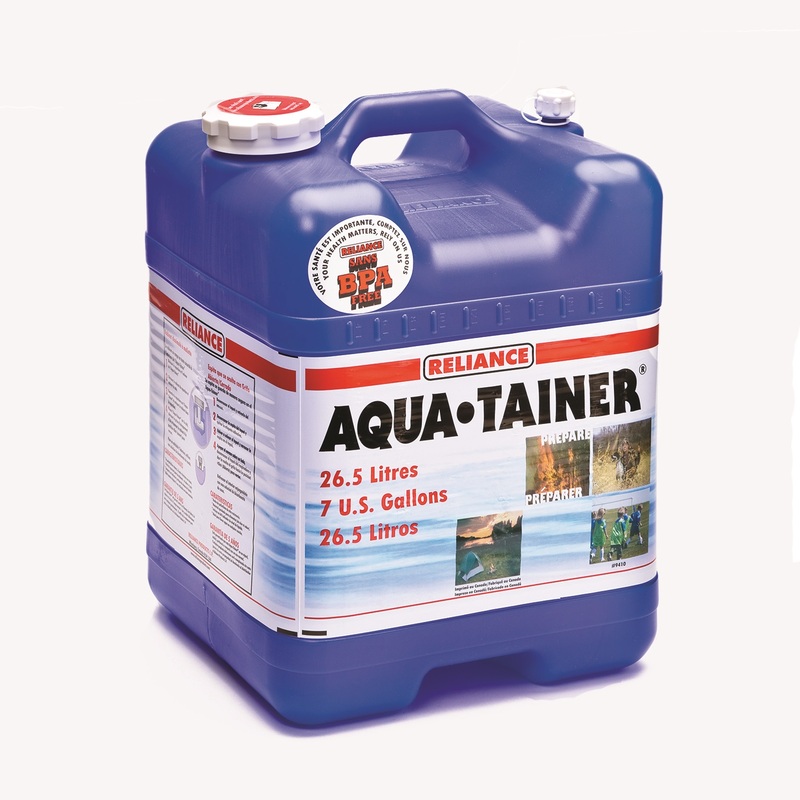 The Aqua-Tainer is available in two sizes; 7 gal./26L or 4 gal./15L capacities. Measurements: L-11.25", H-15.25, W-11" and weighs 2 lbs.